In June this year, the Supreme Court legalized gay marriage across the country in the landmark Obergefell v. Hodges case. Across the nation there were varieties of reactions ranging from, many hysterical on both sides. On this episode of Mere Fidelity, Anderson, Roberts, Wilson, and I sit back and try to take a sober look at the landscape as well as analyze just why the reaction was so different here in the states than across the pond. We hope you’re encouraged and challenged by this. 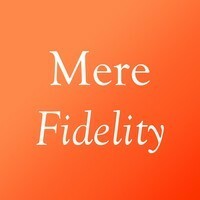 (By the way, take advantage of future Mere Fidelity episodes to your Anderson fix. He’s mostly offline now, except with us.